Pre-Election Assessment Mission Report, May 2014. 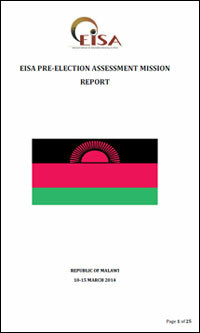 No 8, February 2004: The Malawi general Election: Focus on Registration. No 10, March 2004: Malawi: courts and the 2004 Elections. No 11, March 2004: Malawi 's presidential race underway. No 12, April 2004: Malawi's "bogus" voter statistics. 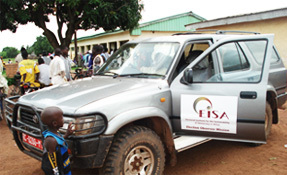 No 13, May 2004: Civil society and the electoral process in Malawi. No 14, July 2004: Malawi 2004 general election: post mortem and aftermath. No 15, August 2004: Not all is well between president and party in Malawi: Election post-mortem. No 16, October 2004: Party-government relations in postelection Malawi.